Anna Noéh was born in Hungary in 1926. She studied at the Academy of Applied Arts, Budapest (1952-56); and the Academy of Fine Arts, Vienna (1956-57). In 1957, she immigrated to Montreal, Quebec. Although her art works are created mainly in acrylic, Anna Noeh also uses oil, color graphite, pencil, silkscreen, photolithography and watercolour. 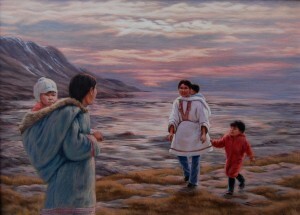 She is best known for her scenes of Inuit daily Life in the Canadian Arctic. She first visited Baffin Island in 1970. 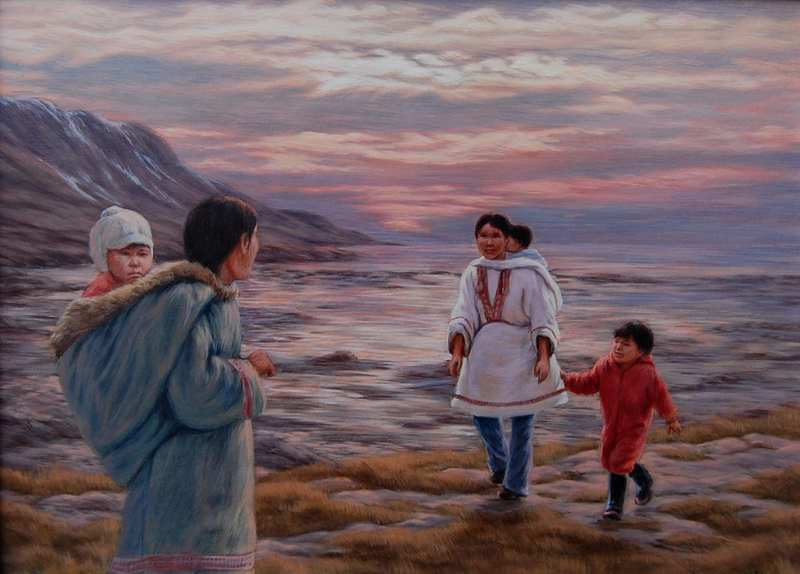 This entry was posted in Anna Noeh, Biographies and tagged anna noeh, anna noeh anna noéh artist painter, artist, esquimo women, figure inuit, i, inuit women, paintings by lacorniche. Bookmark the permalink.